Huge Savings Item! 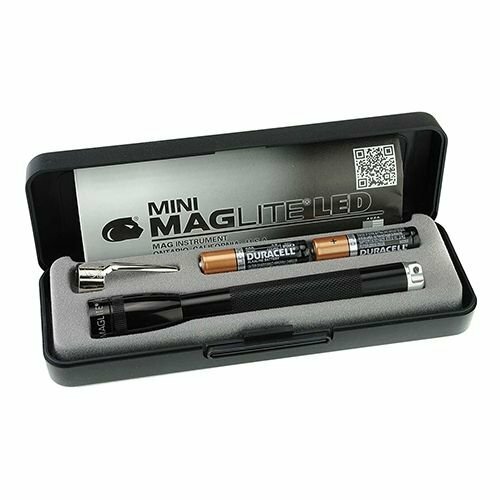 Save 13% on the Mag-Lite ML56321-BRK Mini MagLite LED Warm, White by Mag-Lite at Knights Of Labor. MPN: ML56321-BRK. Hurry! Limited time offer. Offer valid only while supplies last. Mini Maglite LED. 5'' overall. Water resistant. Impact resistant. Clip. Lanyard. Warm white LED. 111 lumens with 2h 45m runtime. 104m beam distance. Mini Maglite LED. 5" overall. Water resistant. Impact resistant. Clip. Lanyard. Warm white LED. 111 lumens with 2h 45m runtime. 104m beam distance. Twist head on/off with focus beam. Candle mode. Requires (2) AAA batteries (included). Aluminum construction. Color: Black. Storage case. If you have any questions about this product by Mag-Lite, contact us by completing and submitting the form below. If you are looking for a specif part number, please include it with your message.